Two men arrested over a stabbing in Peterborough city centre have been rebailed by police. A 19-year-old man from Huntingdon and a 22-year-old man from London were give bail to return to Thorpe Wood Police Station on May 4. 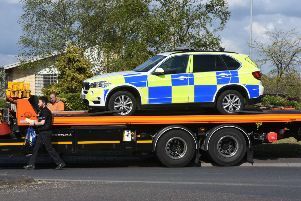 Four other men - a 20-year-old man from Peterborough, an 18-year-old man from Wolverhampton, a 21-year-old man from Wolverhampton and a 22-year-old man from Peterborough - who have also been arrested in connection with the incident will answer bail on April 13. They answered bail for the first time on February 27.